If you have ever heard about turmeric and its benefits and also you are considering whether should start with a cup of warm turmeric water it is time to solve the dilemma and start, because the turmeric is an anti-inflammatory, anti-aging and anti-oxidant spice. The key of turmeric great healing properties is its compound Curcumin. More than 7000 reviewed scientific articles have proved effectiveness of its. 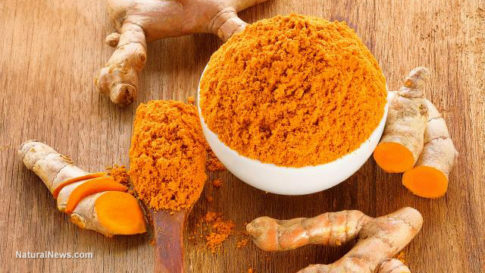 As result of chronic inflammations there are many diseases and it was discovered that curcumin powerful anti-inflammatory properties, fights against inflammation better than some anti-inflammatory drugs. Researchers have been found that decreased levels of type of growth hormone, Brain-Derived Neurotrophic Factor (BDNF) often lead to dementia and Alzheimer’s. They also discovered that curcumin has very beneficial effect on level of this hormone and effectively helps in certain brain diseases or age-related brain functions. Antioxidants prevent cell damage and Curcumin is an amazing powerful antioxidant. These are just few things what turmeric can do for human body. If you eating turmeric on a daily basis, according to some research, it will help to improve digestion of food. Curcumin is able to prevent blood clotting and also able to remove buildup plaques in arteries. In 2011 the journal Biological and Pharmaceutical Bulletin has published that team of researchers from the Niigata University of Pharmacy and Applied Life Sciences in Japan discovered within three weeks of supplementation with curcumin significantly has improved cardiac health in male rats. 2012 study of RA found, that curcumin is non-steroidal anti-inflammatory drug (NSAID), and has a stronger effect than diclofenac, in treatment of pain and swelling. Curcumin effects on both, free radicals and inflammation and is believed they play major role in aging. Study conducted 2009; at the Auburn University that turmeric helps to reverse diabetes, published by Biochemistry and Biophysical Research Communications. It has been found that turmeric is most powerful, it protects the liver against toxic damage and even it is able to regenerate damaged liver cells. It maintains liver healthy. Turmeric also improves overall function of the gallbladder. As it is known that cancer thrives in acidic environment and turmeric is a highly alkaline. One teaspoon of ground turmeric with a dash teaspoon of black pepper put in warm water and stir well. To keep turmeric to not settle to the bottom of the cup, continue with stirring the water as you drink. In order to get all the benefits of the turmeric, drink it while the water is still warm.